The Fifth IPCC assessment report on the physical science of climate change will be released tomorrow. 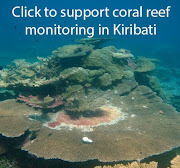 It is probably the largest, most comprehensive scientific assessment in history. Not just of climate change, but of any scientific subject. Really. Try to think of any scientific report with more contributors, more citations, more reviewers, more pages, and more preparation time. Unfortunately, the report is being overshadowed by confusion about a perceived slowdown in the rate of global warming. 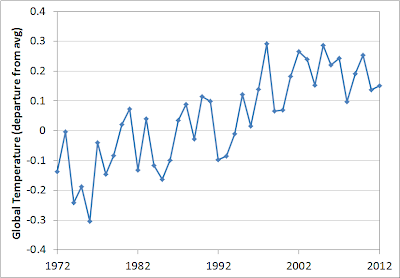 The graph at right, is based on the GISS estimates of global average surface temperatures since the early 1970s. There is a clear signal of rising temperatures amidst the noise of natural variability. 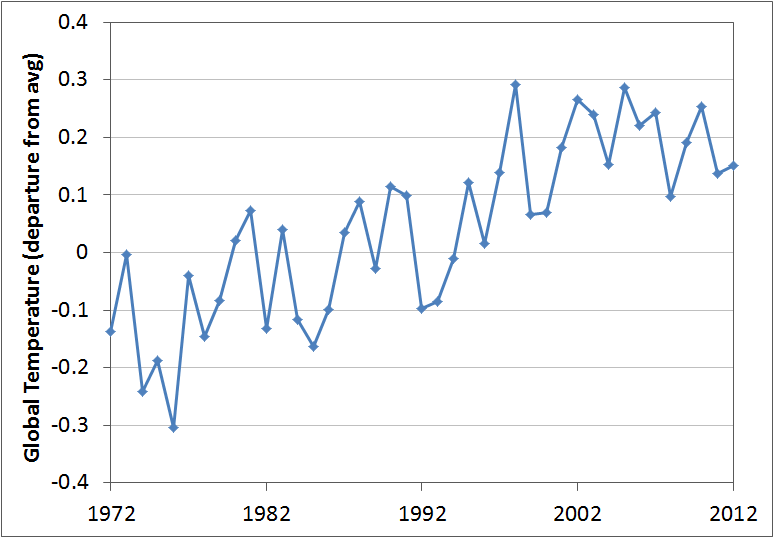 The slowdown in surface temperature change is part of that natural variability. The planet is still gaining extra heat due to human enhancement of the natural greenhouse effect. As Stephan Rahmstorf summarized nicely on RealClimate, the difference is that over the past decade or so, a larger proportion of that heat than normal has gone into the deep ocean. In a few years, the yin of deep ocean heating will give way to the yang of surface temperature warming. When conditions in the Pacific Ocean again allow the development of a strong, traditional El Nino event - a la 1997/8, or 1982/3 - we'll see new global surface temperature records. We should not mistake a landing for the top of the stairwell, as Richard Muller wisely analogized at the end of an article that otherwise is so obtuse I'm reluctant to give it mention here. The media noise surrounding the perceived slowdown is part of the natural variability of public understanding of climate change. Our research has shown that public attitudes about climate change in the United States ebb and flow with the climate. After a cool period, people tend to be less convinced and less concerned about climate change. 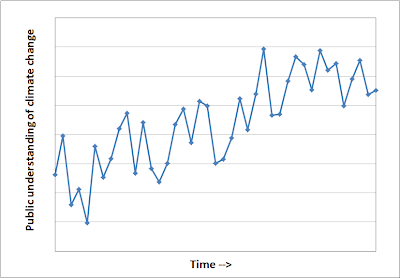 It's worth imagining different labels on the axes of the temperature graph. 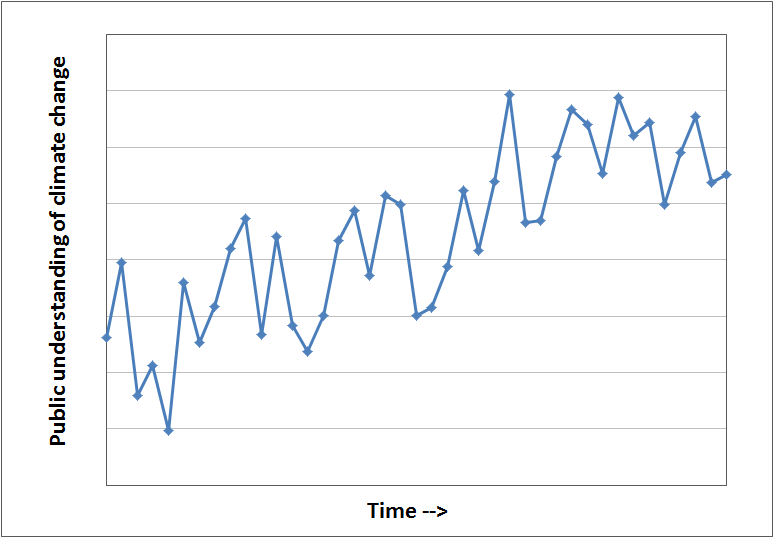 The public conversation about climate warming follows a similarly noisy trajectory. There is a long-term trend towards greater public understanding, better reporting, and better informed discussion at the political level. There is also variability, due to the natural ups and downs of the climate, current events, etc. This is the natural process of knowledge acquisition. We're learning more about more about how the planet works over time. The path, however, is not smooth. There are also periods when the knowledge in the scientific community or the public barely changes, or even goes in the wrong direction before jumping back onto an upward trajectory. There is plenty of evidence for brief periods of "negative learning" in the recent history, including scientific understanding of the causes of ozone destruction. Years from now, we'll look back at this temporary slowdown in the rate of surface temperature warming and shake our heads. This is a temporary landing in the middle of the stairwell of rising air temperatures and rising public acceptance of the magnitude of the human role in climate change.